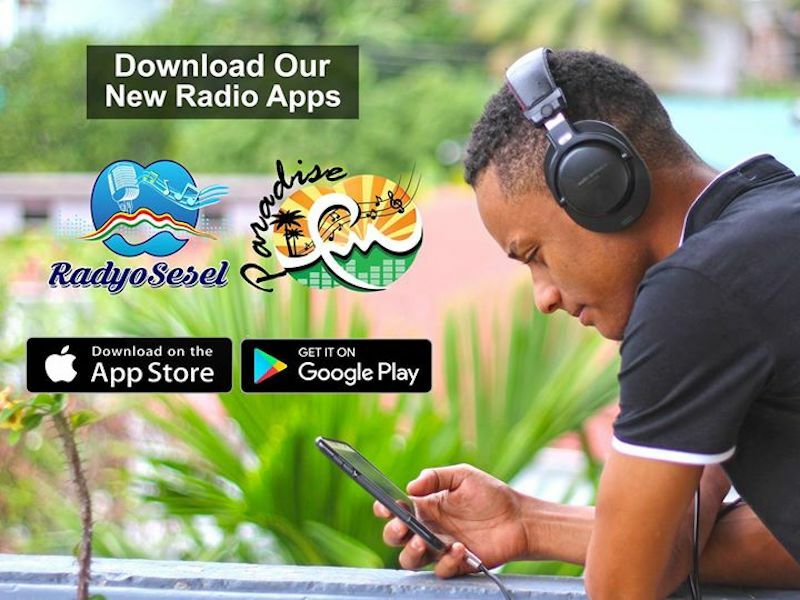 Available on iOS and Android mobile devices, the apps allow audiences to stream the stations live, catch up on popular content via podcasts seconds after the live transmission and to engage with the stations with opinions, news and participation in real-time. “With the new technology we are deploying, audiences will become co-creators of our broadcasts with us, bringing them into the very heart of our broadcast personality and services,” commented Bérard Duprès, CEO of Seychelles Broadcasting Corporation. Audiences will be able to participate in the conversation of the day by sending through their voice-notes, photographs or text messages instantly to the station, where producers can curate and mix this feedback into the on-air broadcast in seconds. At Paradise FM and Radyo Sesel, there is tangible excitement around the possibilities for reaching the Seychellois diaspora globally and to engage with them in real-time. The teams are equally enthused on being able to engage better with our local audience, keeping them informed on issues and events and enabling a whole new set of information and content services, all in the palm of their hands. “We invite our listeners to embark on this digital journey together with us as we grow our skills and understanding of what it takes to be a truly modern broadcaster in the 21st Century,” says Mr Duprès. “Not only does the platform ensure a direct and immediate connection with our audience, it will allow us to preserve our radio programmes into a cloud archive that can be available over time to all citizens of the Seychelles as part of our audio cultural heritage,” notes Duprès, referring to other features of the platform. The CEO further noted that this was part of the Corporation’s on-going efforts to ensure that the benefits of the 4th Industrial Revolution were tangible to all Seychellois, Radio and TV audiences alike, following the recent roll-out of DTT. This innovation of SBC’s radio services has been made possible through partnership with a South Africa-based technology firm, immedia. SBC and immedia collaboration started a year ago in Windhoek, Namibia at SABA’s (Southern African Broadcasting Association) annual conference and AGM. “We are particularly proud that this globally revolutionary platform is an African product developed in Durban, South Africa,” comments Mr Phil Molefe, Executive Head of Strategy at immedia, the development team responsible for the Fabrik platform. Mr Molefe, previously Vice-Chairman of the Commonwealth Broadcasting Association, Chairman of the National Film and Video Foundation of South Africa and past Editor-in-Chief of SABC Radio and Television News, is a broadcasting expert who sees the Fabrik platform as being transformative in Africa’s developing economies. “In my thirty years of broadcasting, I have never been more excited at the potential to invert the traditional “We transmit, you receive” model of broadcasting,” says an energised Molefe. The apps are now available live on Apple’s App Store and the Google Play Store respectively and SBC invites its audience to come closer to Paradise and Sesel with these pocket companions. For further details, please contact the Head of Marketing & Corporate Affairs on corporatecommunication@sbc.sc. Press release originally posted on the SBC Facebook page.